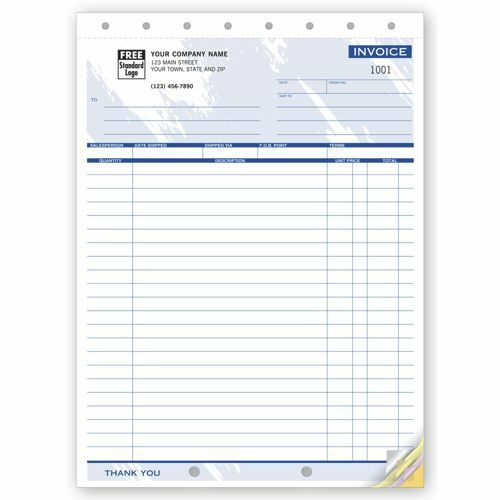 Business Forms Invoice 106T At Print EZ. Business Forms Invoice Item No. 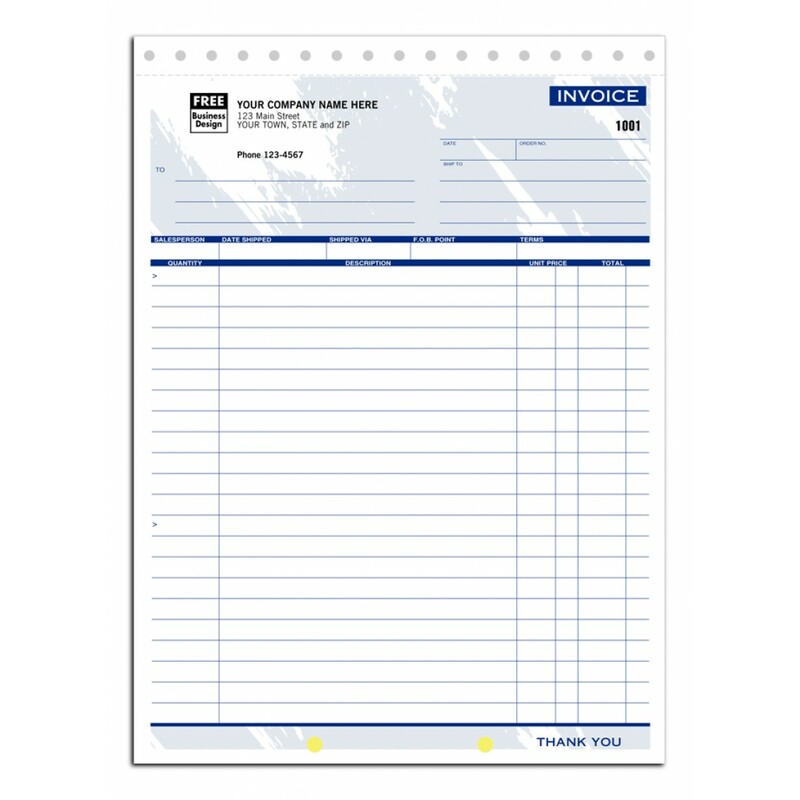 106T Size: 8 1/2" x 11"
Business invoice forms can be a tricky task. While on one hand there is a need for a comprehensive format that allows for faster turnarounds, on the other, one needs to keep certain legality in mind wherein arises the need to convey in writing the personal terms and conditions of the business, to the customer. The new business forms invoice that we bring to you will help you deal with all of these problems and more. The NCR paper and fine printing ensures that the forms maintain a professional look, while the crisp compact format makes data entry a smooth sail. You can also have the unique terms and conditions of your business printed out on the back of each form for a very nominal charge. With all details of the sale clearly listed out and the terms and conditions printed, chances of a conflict with the client are reduced drastically.